Spread bets and CFDs are complex instruments and come with a high risk of losing money rapidly due to leverage. 72% of retail investor accounts lose money when trading spread bets and CFDs with this provider. You should consider whether you understand how spread bets and CFDs work and whether you can afford to take the high risk of losing your money. Spreads from 0.8 pips on FX, 0.4 points on indices. Shares from 0.1% commission. HL Markets is provided in association with IG. All trading involves risk. Losses can exceed deposits. *Please note that Financial Spread Betting is only tax-free if you are a UK resident. Tax laws may change and are subject to individual circumstances. In addition, any capital losses cannot be netted off against capital gains from other investments. **Based on revenue excluding FX (published financial statements, February 2018); for forex based on number of primary relationships with FX traders (Investment Trends UK Leveraged Trading Report released June 2017). iPhone and iPad are trademarks of Apple Inc. App Store is a service mark of Apple Inc. Spread Bets and CFDs are leveraged products. Spread Betting and CFD trading typically require the deposit of a small percentage of the total trade value, profits & losses can quickly exceed your deposits requiring you to make further payments. Ensure that you understand the risks as these products are not suitable for everyone, if you are in doubt seek personal advice. This website does not constitute investment advice. You can find details of these charges for particular Markets within the relevant Market Information tab, which is located on the Trading Platform next to each Market or by calling us on 0117 988 9915. Hargreaves Lansdown Asset Management is authorised and regulated by the Financial Conduct Authority, FCA Register number 115248. IG is a trading name of IG Markets Limited and IG Index Limited. 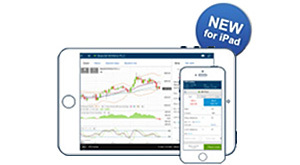 CFDs provided by IG Markets Limited, spread betting provided by IG Index Limited. Both IG Markets Limited (register number 195355) and IG Index Limited (register number 114059) are authorised and regulated by the Financial Conduct Authority. Please ensure you have read the CFD Key Information Document and Spread Betting Key Information Document to better understand the nature, risks and costs of CFD and Spread Betting products, as well as your potential gains and losses when using them before deciding to invest.